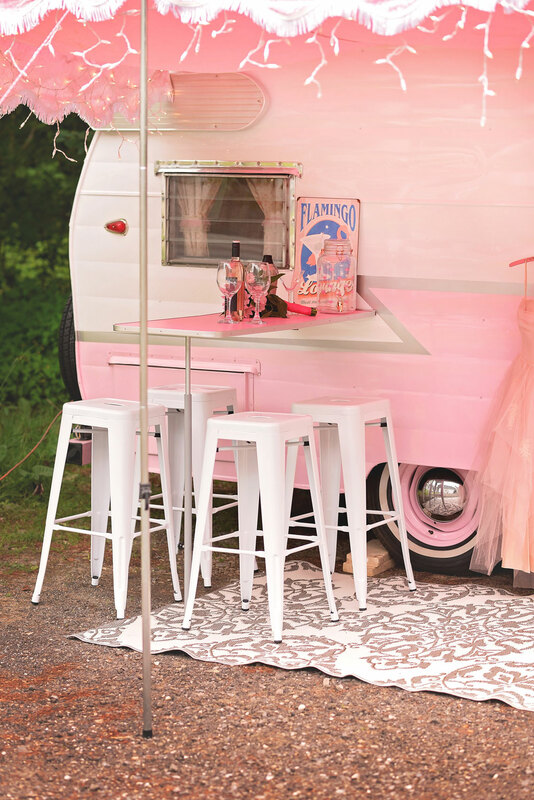 Meet vintage camper (and pink!) 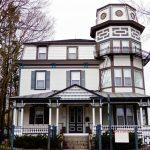 proponent Stephanie Towle — for real! She and her Shasta are greeting visitors in Boothbay in June. 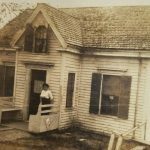 On a summer morning in 2015, Stephanie Towle, of Chelsea, was driving the back roads between Bangor and Millinocket in search of a vintage camper. Drawn to the area by a Craigslist ad for a 1966 Yellowstone that turned out to be a “rat-infested mess,” she decided to see what she could find in residents’ driveways. 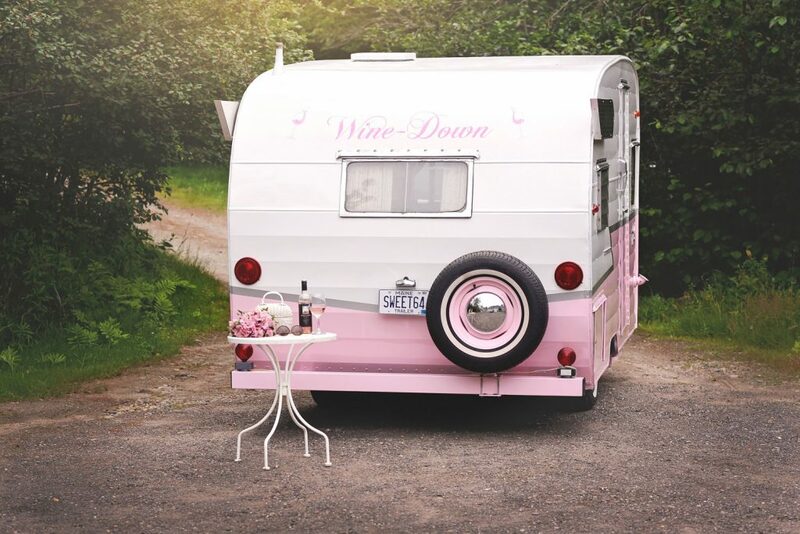 After stopping at a handful of houses where she spotted campers, then inquiring with or leaving notes for their owners, she found her way to Roger Davis, of Bradley, and his 1964 Shasta 16SC. “You can look, but it’s not for sale,” he told her. Davis’s “man cave” had significant water damage but many of its original features. When he learned that Towle wanted to rehab the trailer, he softened on selling but held firm on price. “When I tried to negotiate a deal,” Towle says, “he told me, ‘If you don’t pay what I want, I’m going to turn this into a flatbed trailer!’” She forked over the requested $900. 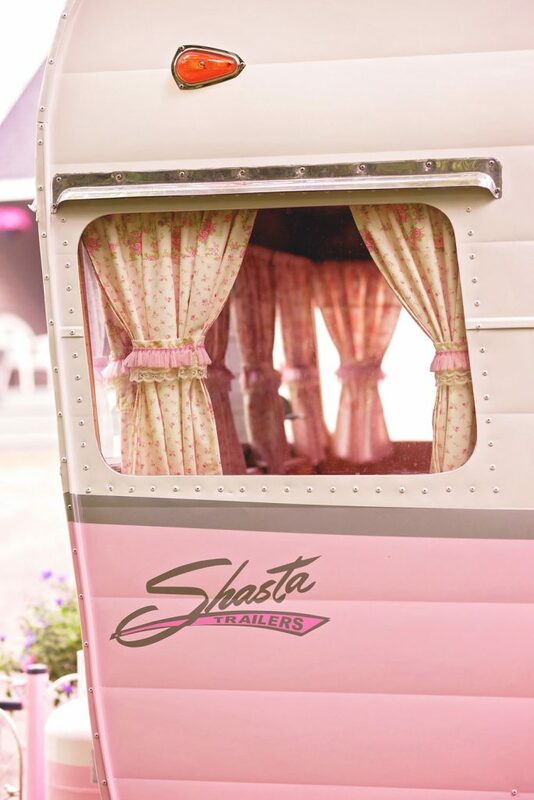 “It’s like setting up a dollhouse,” Towle says of her Shasta and its accessories, which she collected for a year before she found the camper. 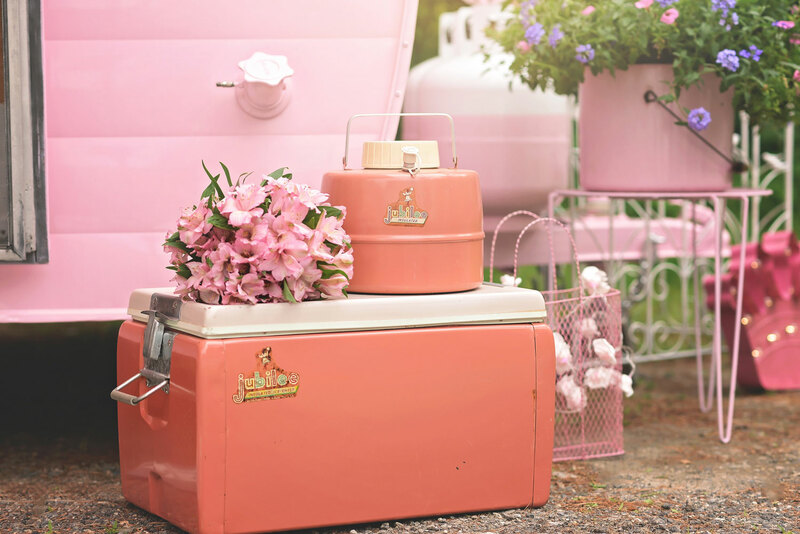 “Any pink thing that caught my eye, I bought” — 1960s coolers, melamine dishes, even a vintage dress she wears to campground events. 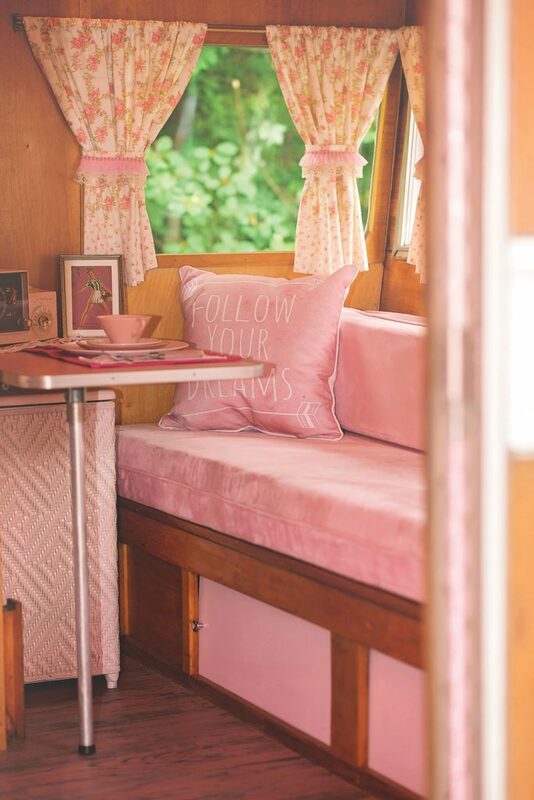 In Maine, a well-cared-for vintage camper is a hard find. “People let them sit outside and rot into the ground,” Towle laments. 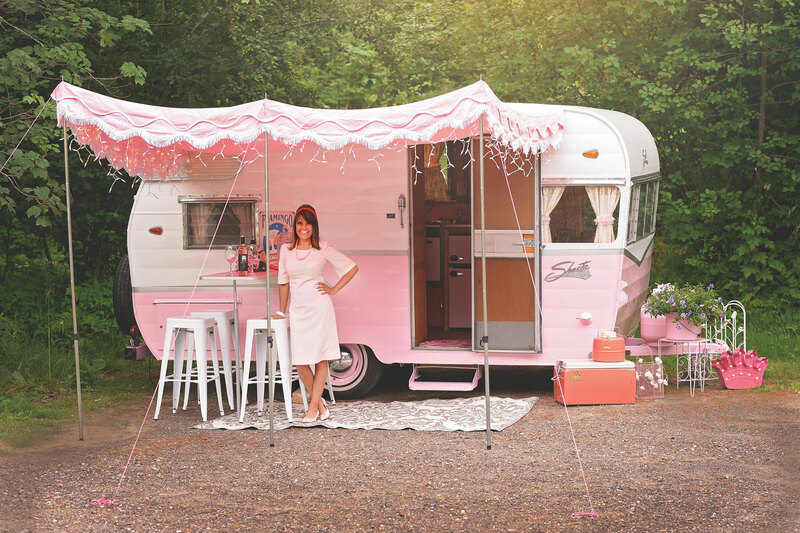 Her Shasta, now a vision in Mamie Eisenhower pink, is her fourth trailer and, she freely admits, her most “over the top.” “My husband’s not a big camper, so I figured I could get away with it,” she says. 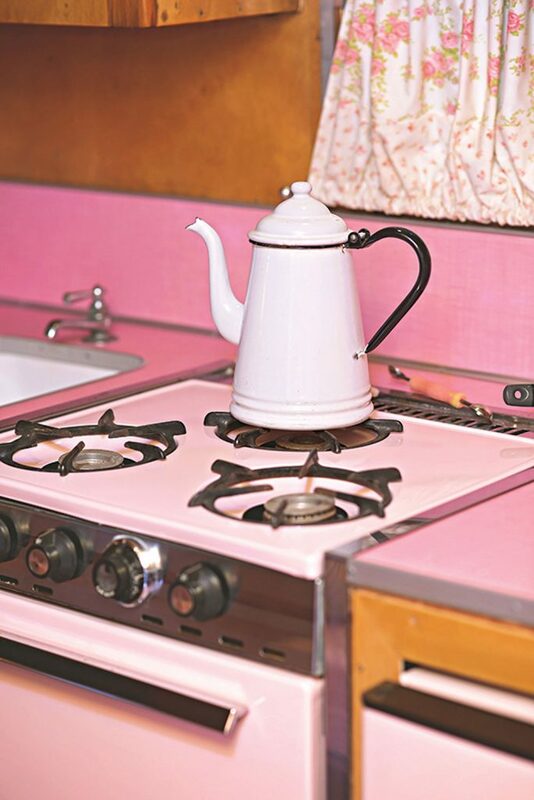 Working with Fayette contractor Dana Whitney, Augusta auto body repairman Steve Johnson, and vintage camper specialist Jim Roy, of Monmouth’s Silver Moose Restorations, Towle restored, painted, and polished the exterior and renovated the interior, which includes the original birch cabinetry, enameled sink, and tiny wall oven, now painted pink. 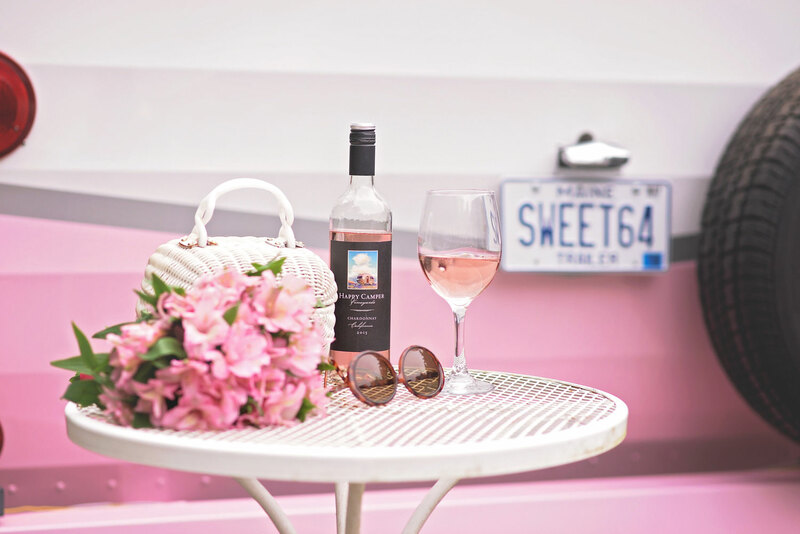 A new fridge, painted to match, along with new Formica countertops, vinyl flooring, and seat cushions in bubble gum shades all drive home the pretty/mod motif. 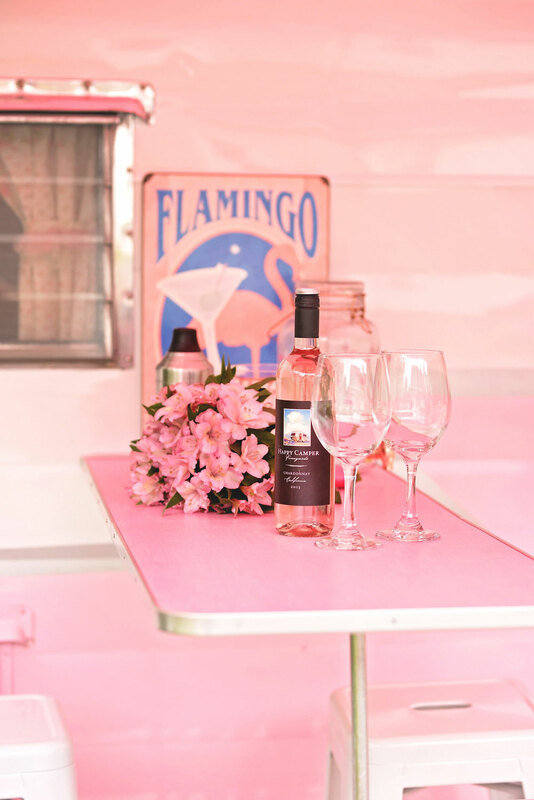 This year’s Vintage Camper Jamboree is held June 1–3. Shore Hills Campground & RV Park, 553 Wiscasset Rd, Boothbay. 207-633-4782. I really am jealous! I would love to have a camper to rehab. I have been looking, but haven’t had any luck yet. I don’t have a big budget, but I have lots of heart, love and pinterest boards. This camper is adorable. I might have to take a trip to Boothbay to check it out. Stephanie T has done a beautiful job! Her ideas, her ideas and hard work have really come to life.